The import price of 62% Fe content ore at the port of Tianjin soared nearly 5% to $61.60 per dry metric tonne on Tuesday according to data supplied by The Steel Index as top producers cut output guidance and demand from top consumer China rebounds. 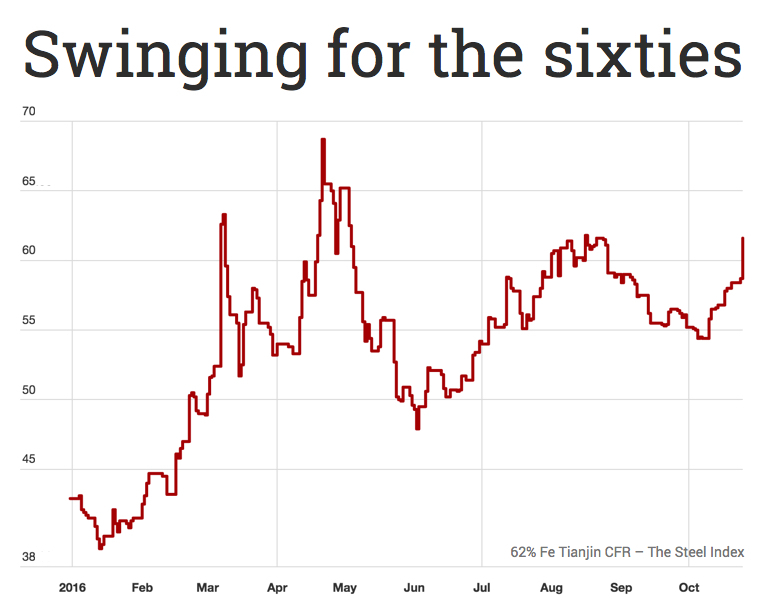 That was the highest level for the Chinese benchmark price in over two months. Futures trading on the Dalian Commodities Exchange indicated further appreciation ahead with the most active contract reaching its daily up limit of 6% for a new 2016 high of 471.50 yuan or $70.10. A note from Freight Investor Service described "massive movement" on the Dalian exchange with the rally starting last night and continuing into Tuesday as the contract broke through previous resistance levels of the highs from April and August this year. Against most predictions, year to date the price of the steelmaking raw material is up 43.6% after surging by two-thirds in value from near-decade lows in December last year. 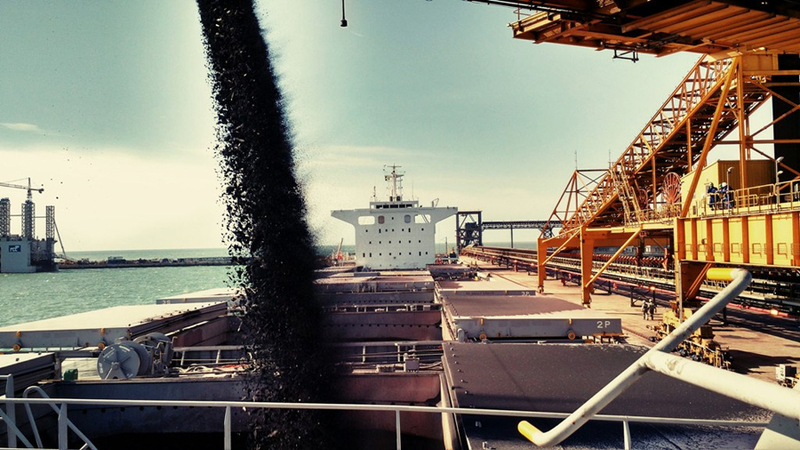 Metallurgical coal's rise this year has been even more dramatic than that of iron ore and trading at $245.50 a tonne on Tuesday, the steelmaking raw material is up 25% so far in October. According to data provided by the Steel Index premium Australia hard coking coal prices are up more than three-fold since hitting multi-year lows around $70 a tonne in November last year.